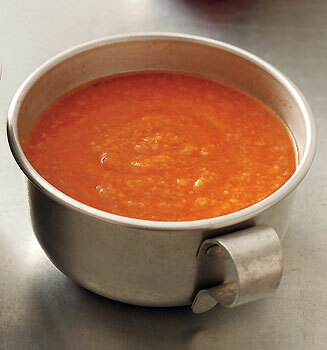 Simply Southern Girl: Rainy Days= Tomato Soup & Grilled Cheese! 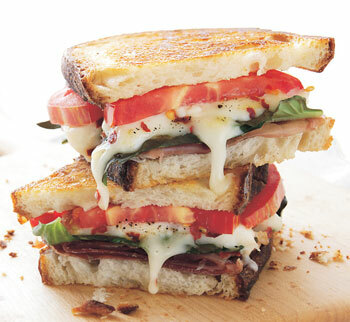 Rainy Days= Tomato Soup & Grilled Cheese! My personal favorites to this day are Tomato Soup and Grilled Cheese..
1. Heat the oil in a large, deep saucepan over low heat. 2. Sauté the garlic until just fragrant, then add the bread, stirring until all the oil is absorbed and the bread is toasted. 3. Add the tomatoes, stock, basil, and salt. 4. Bring to a boil, then reduce heat. Simmer until the bread breaks down, about 20 minutes. Remove the garlic and serve. Tomato Basil - Britain's favorite! yum, makes me want to visit The Loop!